Cannot be Normal Summoned or Set. Must first be Ritual Summoned. 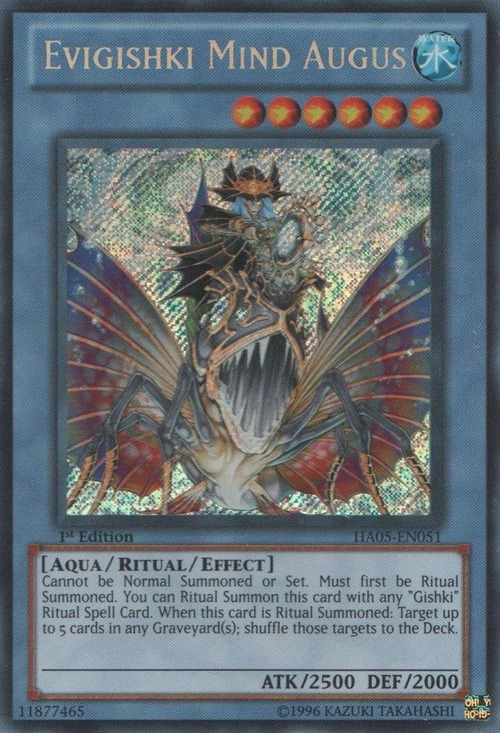 You can Ritual Summon this card with any "Gishki" Ritual Spell Card. When this card is Ritual Summoned: Target up to 5 cards in any Graveyard(s); shuffle those targets to the Deck. This card seems to be a merged form of Gishki Ariel and Gishki Reliever (the levels of both of these monsters also add up to 6). 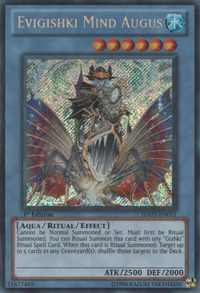 This is the third Ritual Monster to be Limited, following Demise, King of Armageddon and Evigishki Gustkraken. When resolving the effect, even if some of the targeted cards are no longer in the Graveyard, then you still resolve the effect.